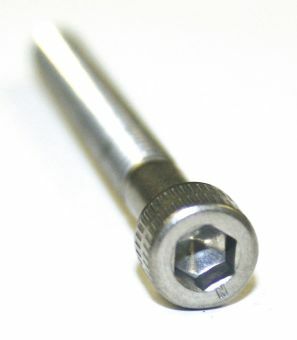 Fastener Depot, a distributor of inserts, fasteners, and electronic hardware that specializes in unusual and hard-to-find items for high-tech OEMs in the aerospace and defense sectors, offers a complete line of inserts/studs and structural, captive and panel fasteners that meet very stringent specifications and tight tolerances. 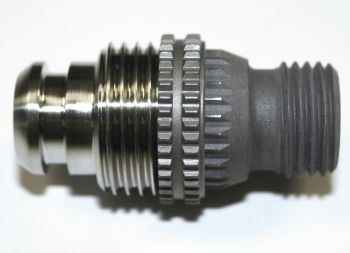 The company also provides parts-to-print items. Once Fastener Depot obtains parts from the fastener manufacturer, Fastener Depot's quality team reviews the certifications provided by the manufacturer. The team makes sure the correct materials were used; counts and thoroughly inspects the parts to ensure they meet the exact specifications and tolerances; and checks that they are all free of dings or foreign objects. "At Fastener Depot, we don't just pass parts through," explains Sandy Navalance, owner of Fastener Depot. "Our customers depend on us for quality, which is why we are so diligent about checking the parts we supply and certifying that they meet specifications." Inspectors at Fastener Depot use a Keyence Image Dimension Measurement (IM) System to quickly and accurately check and gauge parts. 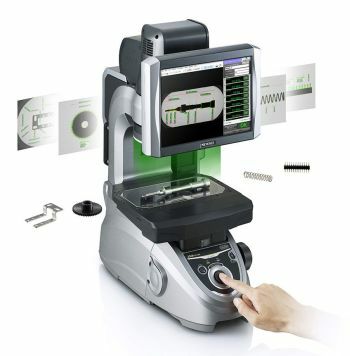 After entering the part specifications into the system, they place a part on the IM System's stage, press a button and can automatically measure up to 99 points simultaneously. The system then compares the measurements to the specifications and stores the data for reporting. The Keyence IM System is designed with several industry-first features that offer users such as Fastener Depot unparalleled speed and accuracy, reduce set-up time and make operation of the system easy. The system uses a specially designed lens to provide a super wide field of view and has auto-focus capability to ensure the part is always in focus regardless of height differences. With the IM system, Fastener Depot's quality team members can also batch measure multiple parts at the same time. Charlie Criddle, quality manager for Fastener Depot describes the significant impact of changing to the automated IM System. "Before, the inspectors manually measured each individual segment or dimension of the parts using micrometers and Go and No-Go gauges then compared each measurement to the drawings. With the Keyence IM, we simply enter the specifications for a part into the machine, and it measures all dimensions in one swoop, speeding up the process tremendously. Now, we can look at 10 pieces in a matter of seconds, compared to minutes doing it manually. We get more product out the door and meet on-time deliveries, even on tight turnarounds." The Keyence machine also saves time by storing the specifications for each part in its database. This is especially helpful for inspecting repeat orders from the same customer and is one of the reasons the company selected the IM system over others that failed to offer this functionality. "Each of our customers has a different sampling plan," he adds. "One customer might require 10 percent of its products be inspected, while another wants every single piece measured. With the Keyence, we can easily meet all of these requirements." The Keyence IM System's reporting feature further enhances both the productivity and accuracy of Fastener Depot's quality team. Using printable reports that identify minimums, maximums and averages, they easily make comparisons, identify problems and communicate with manufacturers to get them corrected. Without such automation, the team manually entered each finding into an Excel spreadsheet -- a process that was labor intensive and increased the risk of errors in data entry. Criddle sums up the decision to purchase and implement the Keyence IM System by reiterating its value to his team and the end users of the parts they supply. "Our customers are depending on us to deliver precision parts that meet their specifications. The Keyence system allows us to do that more efficiently. It's very user-friendly, and it has dramatically changed our measurement operations."